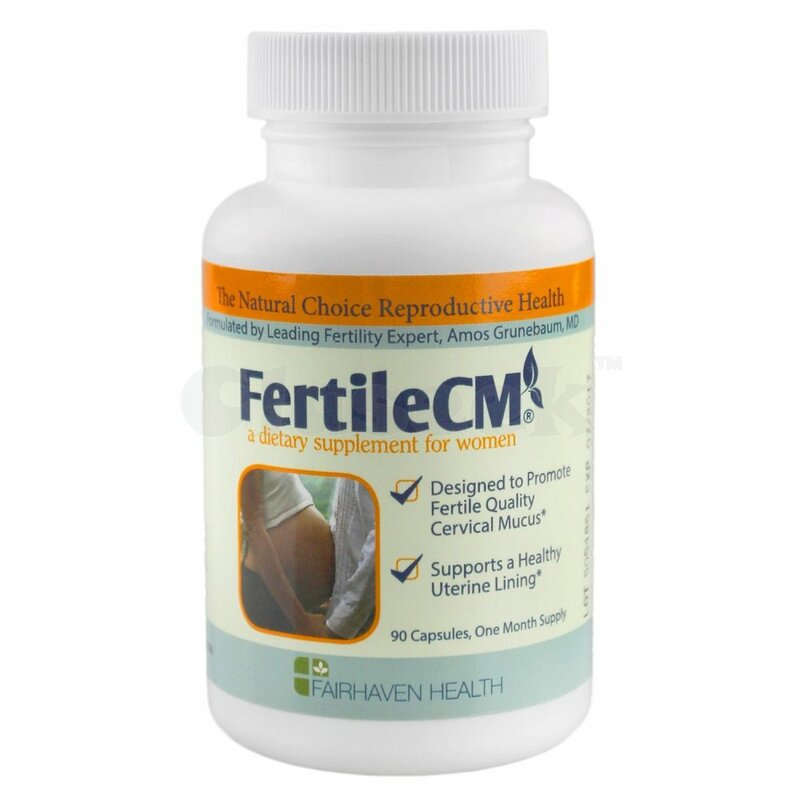 Recommended by fertility expert Amos Grunebaum, MD, and based on Nobel-Prize winning research, FertileCM is the dietary supplement designed to promote the healthy production of cervical mucus (CM) - the bodily fluid so important to fertility and conception. In addition to supporting the production of cervical fluids, the ingredients in FertileCM have also been shown to support a healthy endometrial (uterine) lining and increase female arousal, sexual sensitivity, and libido. FertileCM integrates vitamins and key nutrients, including the amino acid L-Arginine, which promotes the synthesis of nitric oxide (NO), a chemical that is produced naturally in the body and that supports several key bodily functions. In fertility, nitric oxide safely increases circulation and vascular relaxation in the reproductive organs, and supports the production of endocervical secretion during ovulation.¡ For trying-to-conceive women, FertileCM may increase the odds of pregnancy by enhancing the presence of fertile-quality cervical mucus. As fertility expert Dr. Amos Grunebaum indicates, "for many women, problems with cervical mucus - or CM - may cause obstacles to getting pregnant. If cervical mucus is not present or does not provide a fertile medium for sperm, then conception may be inhibited. FertileCM is designed to help women produce fertile-quality cervical fluids - and by implication increase the chances of conceiving." Moreover, scientific studies indicate that the same ingredient that supports cervical mucus also increases edometrial secretion to prepare the uterus for implantation. In established studies, key ingredients in FertileCM have been shown to: Naturally and safely support the production of cervical fluids. Increase arousal and sexual stimulation. Increase hydration of the mucin (liquidity of mucus). Promote mucus alkalinity and mucosal thinning. Support a healthy endometrial lining for successful implantation of the embryo. For Metro Manila cash on delivery (COD) is available. COD means you only pay in cash once the item is delivered to a specific address. Meet-ups are possible and fall under COD. For Credit card purchases, all transactions will go thru Paypal.